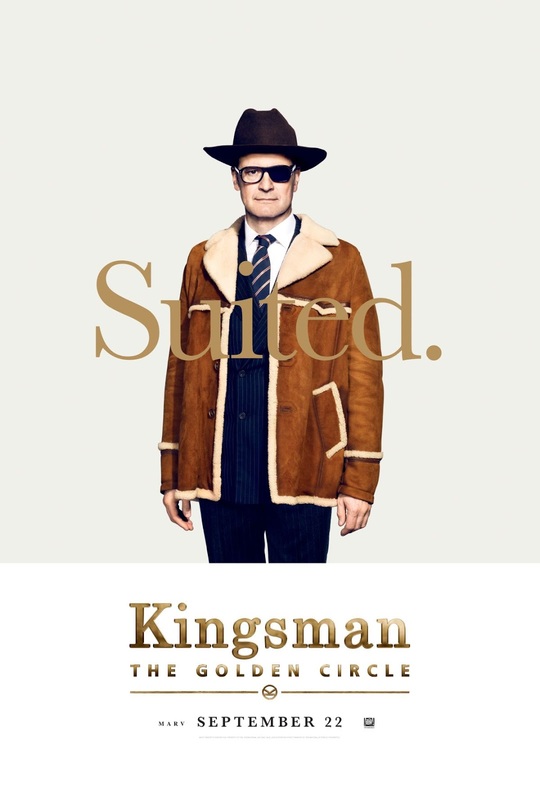 The new Red Band trailer for Kingsman: The Golden Circle was released by 20th Century Fox and strap in because this is an action-packed 2 minutes. The 20th Century Fox panel hits Hall H on Thursday July 20th at 11am PT bringing stars Taron Egerton, Colin Firth, Halle Berry, Channing Tatum, Jeff Bridges and Pedro Pascal along with screenwriter Jane Goldman and Kingsman co-creator Dave Gibbons to discuss the film. The international intelligence agency known as Kingsman returns in Kingsman: The Golden Circle to face a new threat. With their headquarters destroyed and the Kingsman displaced, they journey to the US and discover a spy organization known as Statesman. These two elite forces band together to defeat a ruthless criminal mastermind and save the world yet again. Based on the comic book The Secret Service by Mark Millar and Dave Gibbons, Kingsman: The Golden Circle is directed by Matthew Vaughn and stars Colin Firth, Julianne Moore, Taron Egerton, Mark Strong, Halle Berry, Sir Elton John, Channing Tatum and Jeff Bridges. It will be hitting theaters on September 22.